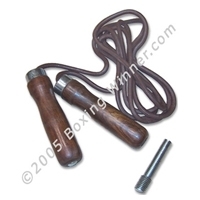 Leather Skipping Ropes: 9 feet long; ball bearing swivels in the handles for extra speed. 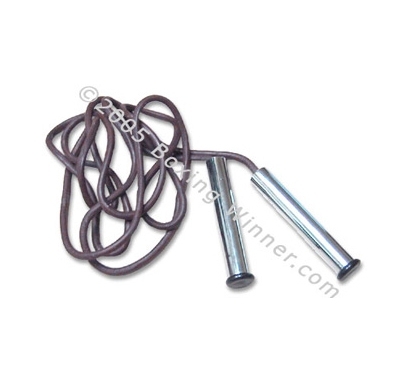 (also available without ball bearing) Metal chromed handles. 8 mm thick leather. Traditional styling. non-weighted.